Hong Kong! The Pearl of the Orient (although I think some people refer to Shanghai as the 'New Pearl', so I'm not sure how current that nickname is). After spending more than 2 months in Australia and New Zealand, I landed in Hong Kong last Tuesday to start the final leg of my round-the-world adventure. The city would be the first of many and the sights, sounds and smells of Singapore, Indonesia, Malaysia, Thailand, Cambodia and Vietnam await. On arrival into Chep Lap Kok I was greeted by Kevin Ng and Matt Haha (yes, haha!) from the Arsenal Hong Kong Supporters Club. They were very happy to see their guest and had arranged a packed itinerary for my stay, including a visit to the Big Buddha, Tai O Fishing Village, Victoria Peak and a hundred different restaurants and food stalls. I was staying with Adam Ng, a local Gooner who lives in a small town (by Asian standards) called Sheung Shui, right next to the Chinese border. It meant that I could get a feel for the real Hong Kong, as I was staying in a quite typical residence where you could barely swing a bag of cats. Being away from the pandemonium of central Hong Kong and Kowloon, it also meant it was significantly quieter, and there were absolutely no tourists, aside of course from the Chinese ones, popping across the border to bulk-buy infant milk and other essentials that they can't safely obtain back home. 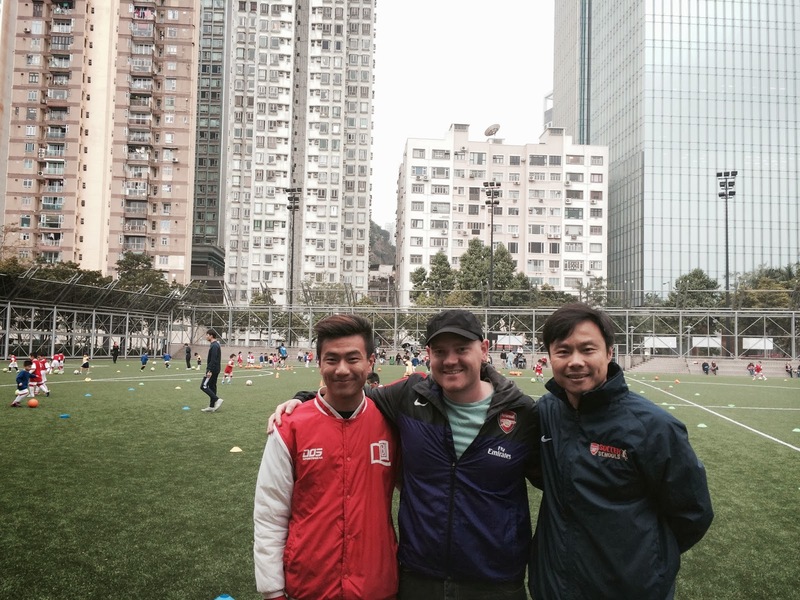 I had the chance to visit one of the Arsenal soccer schools in Hong Kong. This football school is open to students from 3 years to 12 years old. I met the Technical Director, Alan Lam (also a sports commentator), and he told me about the exercises and their plans for the future. The school has only be running for a few years, but it obviously gained traction quickly. They are now looking at starting classes for kids aged TWO, and already have about twelve signed up. 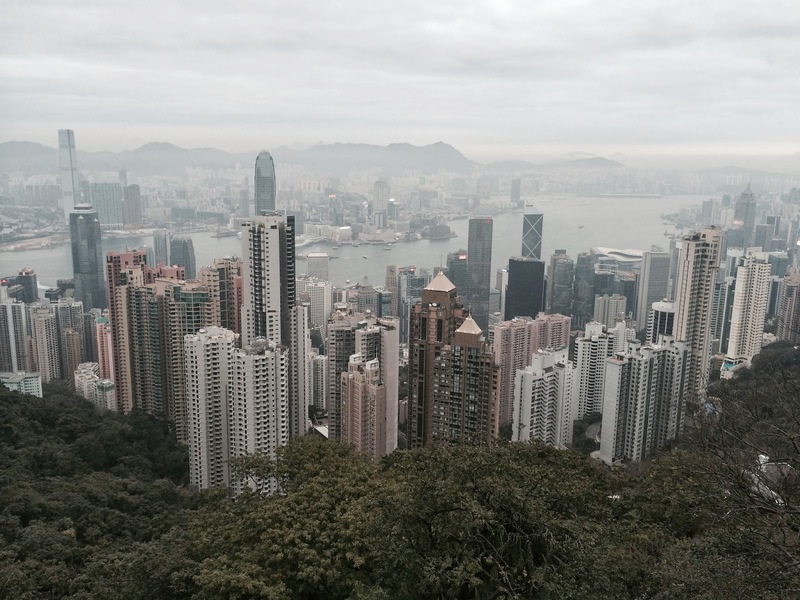 The school's weekly sessions run year round, without a break, and there are four separate locations in Hong Kong alone. So, game time came around and it was an important one. 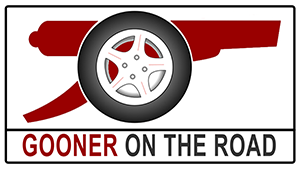 The local Hong Kong Gooners had arranged a viewing party at one of the Jockey Clubs (the term 'Jockey Club' means 'Betting Shop' out there) and there were around 100 people in attendance to watch a complete car-crash of a performance against Liverpool. I'm not going to comment on the performance because everybody and their dog has already had their two cents, some justified, some just plain daft. All we know is, as of right now, if we win against United we go back to the top of the league. Let's hope that a blip is just that, a blip.